A cosmopolitian friend of mine once told me after I commented to him on how bad tasting my steak was, that only three countries can do steak, Australlia, Canada and America. One thing I have noticed while in the FSU is that having a BBQ is a special event. 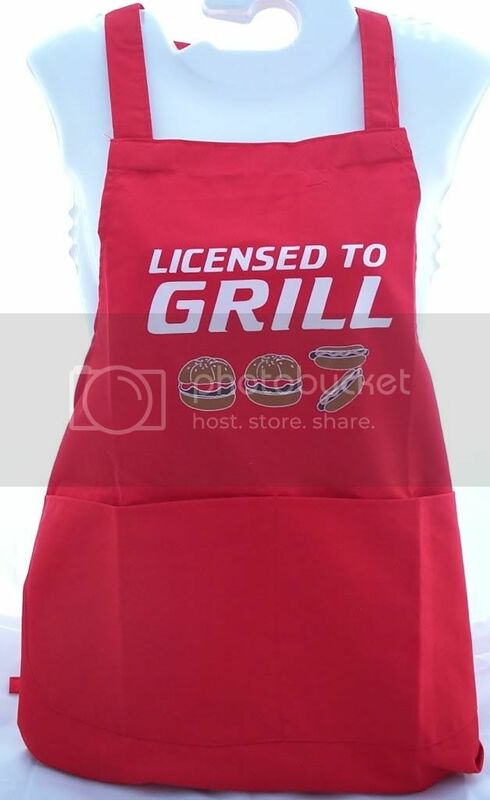 I have my thoughts on this that its mainly because they don't have yards to spark up the BBQ whenever they want. One thing that I still find surprising is the amount of guys who post about the great shashlik of the FSU. It's like they never had it before, or that somehow it was a so much better than what they grill up at home. For me having a BBQ is easy, turn on the JennAir right in the kitchen, now thats sweet. MSC I have never tried the beer chicken, though I have heard of it. Does the aluminum taste rub off on the bird? I hate beer in a can, all I taste is the alloy. Manny be sure to leave a generous amount of ash in that BBQ, otherwise the thing will corrode and you'll cut its lifespan. I'm not smitty, but just in case he has logged off for the evening, beer can chicken is a grilled whole chicken that is grilled with an opened beer can stuck up it. So the beer steams the chicken from the inside, keeping it moist and imparting a decent beer taste (most of our beer in the US is nearly-tasteless; but strangely the tasteless beer seems to work ok for cooking in this manner). Don, I'm with you on disliking canned beer. I'll drink it only from a tap or bottle, the ways God intended it to be served. What do you cook over? What style of grill do you prefer? (the smoke doesn't smell like apples). So what is your experience of the barbie in the FSU? Not too much anymore, just veggies now. When I did eat meat, I had made a very elaborate BBQ that was large enough for a decent size pig. Just gas now but used to use charcoal and wood chips. Thanks for helping me out Larry. I had to sign off for a bit but now am back. Just like Larry said, but you should buy the beer can racks. You can get them at most department stores or on line on eBay. Sometimes I'll add apple cider or cranberry juice to the beer for added flavour. I also like to put olive oil on the chicken skin with Montreal Chicken Spice I get from the grocery store. The key is not to cook the chicken over direct heat. If using charcoal place coals around the outside of the BBQ or propane or gas BBQ just turn off the burners below the chicken. try and keep the temp around 375. Try to leave the BBQ covered as much as possible. 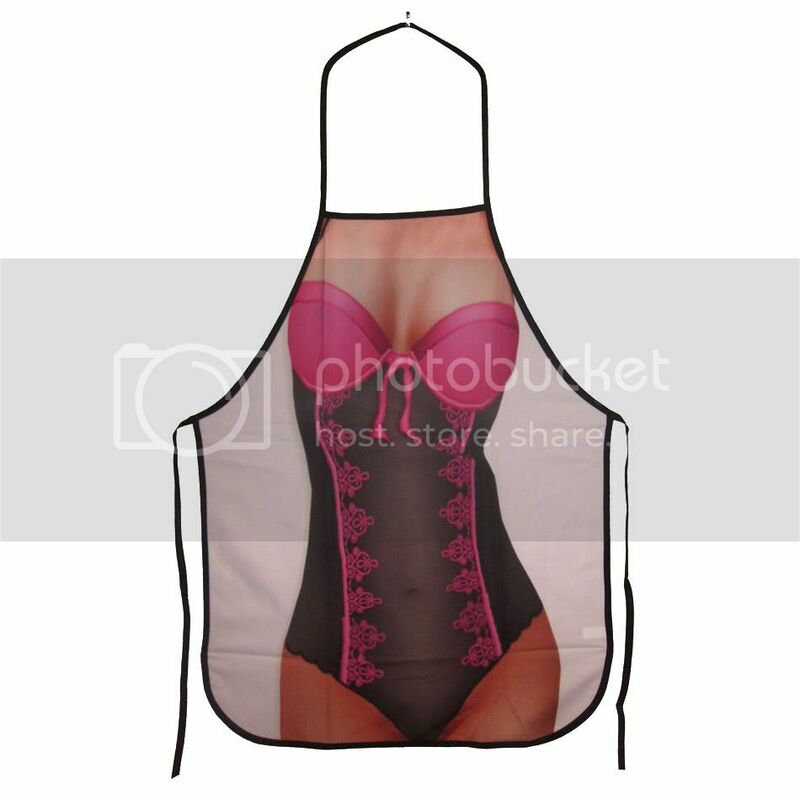 Cook until the breast temp is 170. Make sure that you turn the birds if the skin is not browning evenly. As far as beer goes, the darker the beer the stronger the flavour in the end!!!!! No Can taste. I know exactly what you mean. However, you cannot use bottles in this recipe. 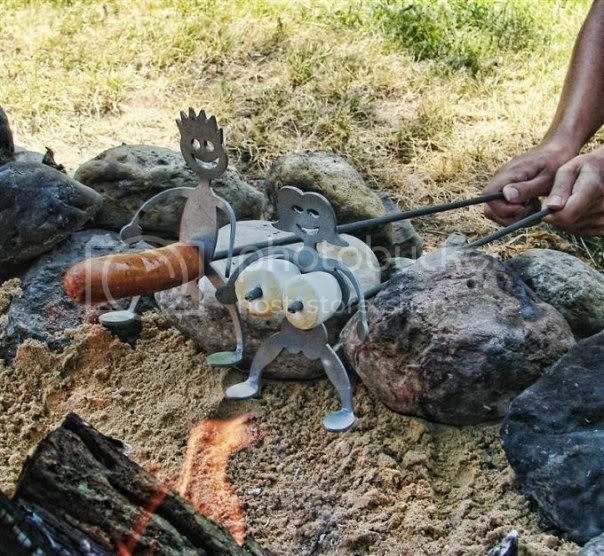 Of course you need to have specialized gear to be a "REAL" BBQ man ! But this summer when I was in Ukraine I had my first shashlik cooked over wood coals and it reminded me how much better food tasted cooked this way instead of by propane. A friend of mine has a fire pit made up with a stainless steel grill attached that swings away and adjust up and down for height. Hopefully I'll have one made up for my backyard next year. I'll still probably use the propane grill quite a bit because its so quick to get started but I plan on cooking a lot over a wood fire in the future! If you'd like to try a different sauce for ribs (or pork in general) take 1 cup of Open Pit and mix in 1 small can of orange juice concentrate. The orange juice caramelizes nicely and gives it a wonderful taste. You can trick this up a number of ways but the OJ concentrate is the basis. My favorite on the grill is a well marbelled rib eye steak with only salt and pepper (at most). What really makes BBQ taste like BBQ is the smoke from the fat that swirls around the meat while cooking. I heat a propane grill to the MAX and take a thin (3/4 inch or less) rib eye and toss it on the grill with the flame on high. Within a couple of minutes it will start to make a fat fire that will touch the steak, DON"T PANIC, let it go for 2 minutes, the idea being to sear the meat and seal it. Flip it and let it go for another 2 minutes. If you're doing it right it should be smoking like crazy and smell great. Remove quickly. This will get you medium. It's a matter of great finesse to do well done without killing it. Chris: Great photos! That whole piglet would put me off a little though. I am a wussy carnivore; I don't like to see what they once were. If I really thought about it, I might be a vegetarian. But, I like meat too much; so, I just don't think about what it used to be. It tastes wonderful though I'm certainly not a fish lover, but most FSUW I know love fish, in the supermarkets around my wife's city a lot of the fish they buy is swimming around in tanks, (will post pictures later - carp, trout, sturgeon etc) so they choose which ones they want to take home. For some reason in Amsterdam I am often asked to "man" the grill. Most often these are gas grills and while I agree the best meat (dead cow) comes from North America and Australia, the Dutch have decent lamp and pork! I also prefer apple chips to mass made charcol. Eating the overgrown gold fish is something I can't get used to! The first time I saw the flat skewers in Sumy I bought a dozen back to Amsterdam they are amazing improvement over the round examples. In Connecticut I have a 15 year old Weber and cook frequently on it during the summer and fall. Two tricks; clean with a good metal brush the surface and make sure it is hot before placing any food on it. Cooking things like leg of lamp or larger cuts of meat get the coals to the edge and have the flesh in the middle. With the cooking surface I can add coals as needed from two flippy up things along the edges. Most often these are gas grills and while I agree the best meat (dead cow) comes from North America and Australia, the Dutch have decent lamp and pork! Is Dutch lamp similar to Chernobyl sheep?